Place acini de pepe in a large pot with 4 cups of boiling water. Cook over medium-high heat until tender (about 10 minutes). Add an additional 1/2 cup of water if the pasta begins to burn on the bottom of the pan. 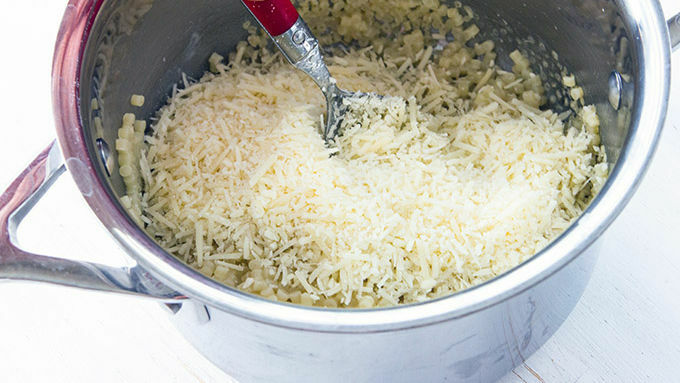 Remove the pot from the stove and immediately stir in 1/2 cup Parmesan cheese. Set aside. 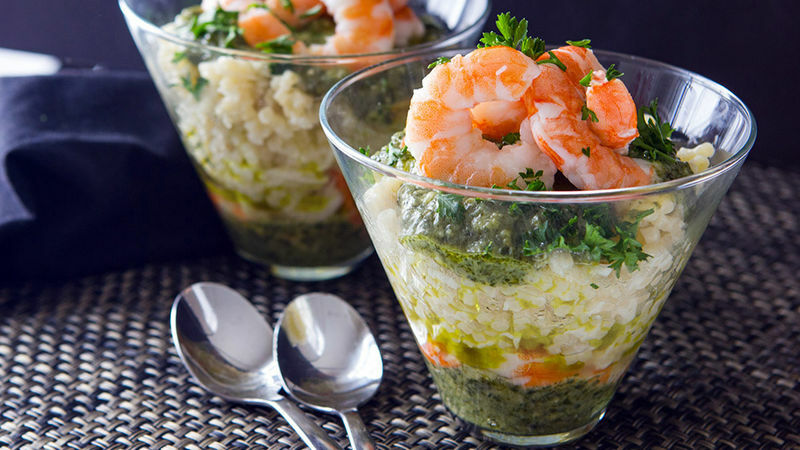 Prepare the parfaits by spooning a small amount of the pesto sauce into the bottom of 4 martini glasses. Top with shrimp. Spoon hot pasta on top, then add another layer of pesto and shrimp. Sprinkle with Parmesan cheese, if desired. A little bit of pasta in your cup and a little bit of shrimp to spice it up. This savory parfait is an absolute shoo-in for Best Recipe of the Year, and you’re gonna have it on a spoon in just a few minutes. Four ingredients! That’s all this recipe calls for. Is this lineup making you hungry? Because four favorite ingredients?! Dinner doesn’t get easier than this. Just toss the pasta into a pot, cook until tender, and stir in Parmesan cheese. The Parm is salty and adds all the flavor you need. Easy peasy. No spices needed. Now, to prep the parfaits! A little pesto in the bottom of your glass. 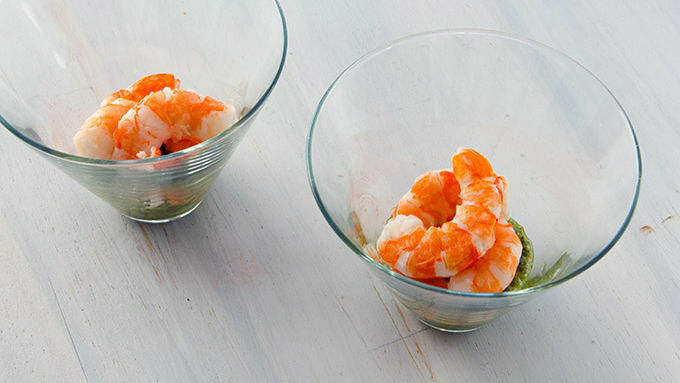 A little shrimp over the pesto. And pasta in the center. Just spoon it right in there. Then top with another layer of pesto and shrimp. You know when you ask the movie theatre guy to give you butter in the middle of your popcorn tub? Yep. That’s basically what we’re doing here. Start with the good stuff, layer the good stuff, get the good stuff in every bite. This is good stuff!